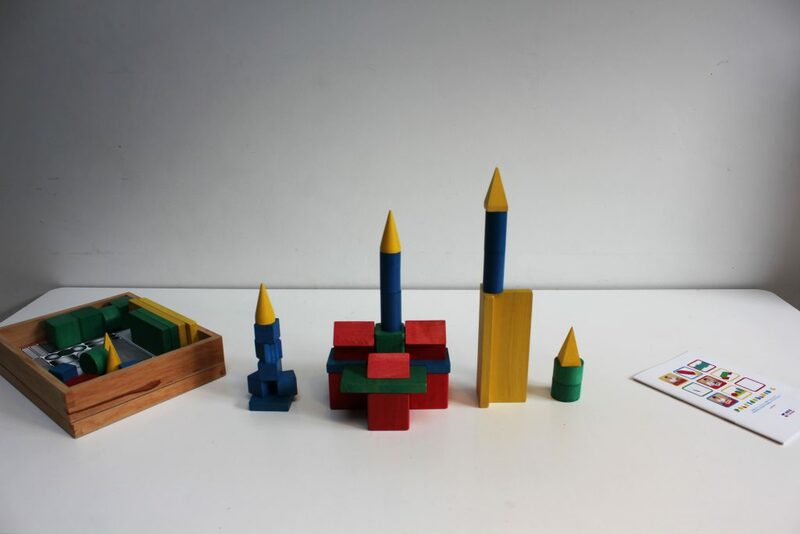 Dr Margaret Lowenfeld invented Poleidoblocs in the 1950s as a way of portraying basic mathematical relationships in a medium attractive to children. Poleidoblocs are designed for children to gain sensual and visual images of the mathematics behind them. They are widely used in schools. Poleidoblocs consist of 54 coloured blocks shaped as cubes, cuboids, cylinders, triangular prisms, cones and pyramids. They are made of wood and come in four colours, red, blue, yellow and green. Young children use their senses to investigate the balance and relationship between the shapes, and in their free play they construct aesthetically pleasing complex structures with a sense of proportion and balance. The child can compare lengths, areas and volume by eye and by fitting together, as they build a structure that is intrinsically satisfying. 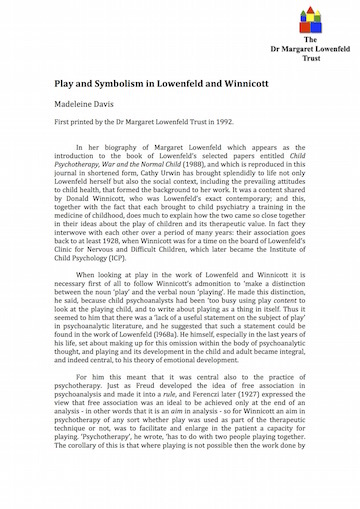 Dr Margaret Lowenfeld was aware of the key role of play in children’s learning, and how the development of mathematical ideas arise from real practical activities. Play enables children to go on to investigate the abstract mathematics underlying the structure. As this learning arises out of their own sensorial experience, they acquire a basic self-confidence that informs their subsequent learning. Poleidoblocs consist of 54 coloured wooden blocks shaped as cubes, cuboids, cylinders, triangular prisms, cones and pyramids. They are made of wood and come in four colours, red, blue, yellow and green. They are pleasant and attractive both to hold and to use because they are precisely made and are in proportion to each other. There are two sizes of cube: it takes eight of the smaller to make the larger. Slice the large red cube in half and half again, and you get the red triangular prism. Cut the large red cube into four slices, and you get the blue tiles. Or cut it into quarters a different way, and you get the small red cuboids. Join three of the blue tiles into a straight path, and you get the yellow tile, or just two of them, and you get the green tile. The blue cylinder fits just exactly on the red cuboid, and is the same height. And so on and so forth. The World Technique was developed by Margaret Lowenfeld as a way to engage children in a therapeutic process and to allow them to express themselves non-verbally through play. She allowed them to build a picture of their world using wet and dry sand in separate trays with a selection of miniature toys.